Foot orthoses are shoe inserts designed to support, align or improve the function of the foot. 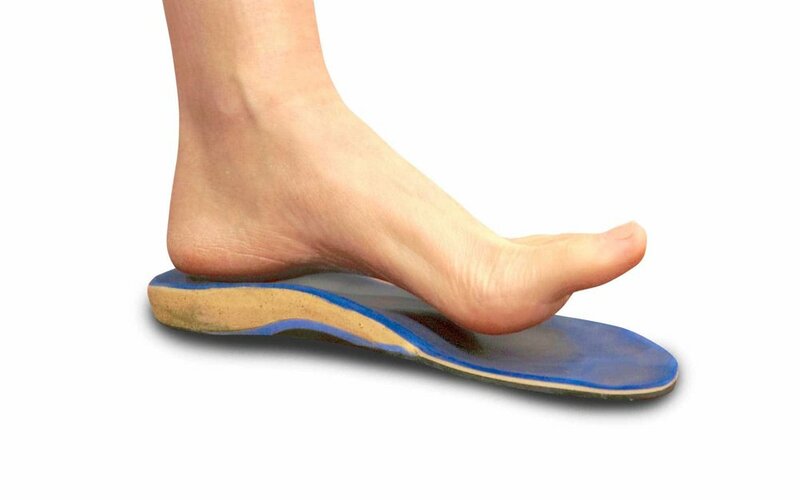 They are commonly referred to as ‘orthotics’ and fit comfortably inside your shoes. There are many different types of orthoses. The orthoses recommended by your podiatrist are prescription devices, custom-made to suit your individual needs and biomechanics (the way your body moves). People of all ages with a variety of foot and lower leg problems wear orthoses. Sportspeople are often prescribed orthoses by their podiatrist to help maximise their performance, as well to address biomechanical problems. Anyone suffering from a chronic foot or lower limb condition that is limiting their mobility or independence may benefit from wearing orthoses. Your podiatrist may prescribe orthoses for your particular foot problem after a comprehensive assessment, taking into account your own biomechanics, footwear and occupational and lifestyle factors. Orthoses provide valuable long-term solutions in the treatment and prevention of corns, calluses and ulceration by redistributing the pressure of the body’s weight on the feet. Orthoses can also help with rehabilitation of acute and chronic foot conditions such as tendonitis, recurrent ankle sprains, and stress fractures by providing consistent postural control. If orthoses are recommended, your podiatrist will design a care plan. This plan will outline your diagnosis, the type of orthoses you have been prescribed, proposed footwear to wear with your orthoses, lifestyle changes you may need to make and any additional treatment that may be required. Pressure relief orthoses offer additional relief by redistributing the pressure of problem areas of the foot. Moulded cast or non-cast orthoses offer similar features with a superior fit, whilst prefabricated orthoses provide relief and can be further customised by your podiatrist.